words such as Please and Thank you are making a comeback! 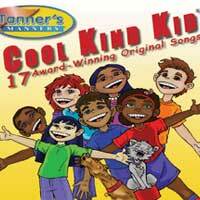 Parents, educators and counselors are raving about the positive messages of cool Kind Kid This award-winning CD of 17 original songs provides a fun way for kids 2-10 to learn manners, resist bullying, and develop social skills with upbeat, catchy sing-along music perfect for home or classroom. Kids learn important life skills without nagging.